Our goal is to connect people with the best local experts. We scored plumbers on more than 25 variables across five categories, and analysed the results to give you a hand-picked list of the best plumbers in Mission Viejo, CA. 1st Choice Plumbing and Renovation serves residential customers in Orange County from its base in Lake Forest. Their plumbers are fully licensed and intensively trained and are ready to attend to an emergency on a 24/7 basis. The company states that their mission is to provide the best possible service by highly trained, professional staff and with the most environmentally friendly products available. They undertake the installation and repair of hot water heaters, sinks, faucets, dishwashers, ice makers, instant hot water dispensers, toilets and bidets, and they also repair leaking pipes. Bathroom remodeling consists of the installation of bathtubs, whirlpools, walk-in tubs, and high-end shower systems. Water filtration involves the installation of water softeners and reverse-osmosis or alkaline reverse-osmosis water purifiers. They provide free estimates during which their technicians will determine the customer’s budget so that all subsequent work will be carried out within that price. Reviews recommend the firm for their reasonable price and their responsive and pleasant technicians. Aliso Viejo Plumbers is a plumbing services provider located in Aliso Viejo, California and serving Aliso Viejo and its surrounding Orange County communities. The company has been proving area residents and businesses top quality plumbing expertise for more than fifteen years. All of Aliso Viejo's plumber specialists are licensed and bonded, and the company maintains a large staff of fifteen in order to be flexible in taking emergency calls. Aliso Viejo Plumbers also offers free quotes and 100% satisfaction guarantees. Services include drain cleaning, slab leak repair, garbage disposal maintenance, water softener applications, toilet repairs, sump pump repairs, bathroom remodeling, drain cleaning, hydro-jetting, sewer line repairs, and water heater installations. Detailed descriptions of service categories as well as answers to frequently asked questions are available on the company's website. Antognoli Plumbing is a full-service plumbing company with over 25 years of plumbing experience that handles a variety of services from small to very large, including basic plumbing, drain services, water heaters, slab leaks, and gas line repairs. Antognoli Plumbing is a fully licensed, bonded, and insured plumber located in Mission Viejo that offers reasonable prices and quality service to all of the surrounding area. Customers appreciate the up-front honesty of the company, as well as their reasonable rates and prompt service. Their services include repiping, regrouting, and fixing drain stoppages, as well as installation and repair of garbage disposals, faucets, sewer lines, and gas lines. For more than 15 years Caron Plumbing & Drains has been helping customers in Mission Viejo and the surrounding area by furnishing solutions for all their plumbing problems. Caron Plumbing is a full-service, fully bonded and licensed business which provides such plumbing services as water and drain line repair and replacement, repair of leaking pipes, correction of water pressure issues, faucet repair and replacement, and drain cleaning. The company’s well-trained technicians can repair or install items like bath and kitchen fixtures, counter tops, food waste disposals, residential and commercial toilets, and more. They are also experts at dealing with such sewer and drain problems as clogged main lines, drains, and roof drains. They are even able to fabricate fixtures for customers who need something no longer available or want something which is not yet commercially available. Greg Kranz Plumbing Service in Aliso Viejo has been serving residential customers in Orange County for over 30 years. Greg offers free estimates, plumbing service, residential repairs, and remodels. He places an emphasis on efficient, quality work and personal service as he relies on getting repeat business and referrals from loyal customers. All his appointments are made at specific times as it will only ever be him carrying out the work. His business success is due to the satisfied customers who have referred him to their family, friends, and neighbors. The business installs and repairs tankless and hybrid water heaters, drinking water systems, faucets, sinks, garbage disposal units, hot water dispensers, and toilets. It also fixes water pressure problems, investigates slab leaks, undertakes complete re-pipes, unclogs drains, sinks, showers, and toilets, and performs video sewer inspection on-location. Many reviews mention Greg as always being professional, timely, and offering a fair price. I Got Plumbing is a plumbing contractor in Aliso Viejo that serves residential and commercial customers in South Orange County through to parts of Los Angeles County. They specialize in slab leaks, tankless water heater installation, drain cleaning, and any other plumbing issues that can arise. Services include HOA, hydro jetting, tankless water heaters, sewer and drain repair, trenchless pipe replacement, main line repairs, leak detection, rooter service, copper pipe repiping, and Pex video sewer inspections. The company is fully licensed, bonded, and insured, their plumbers have been subjected to a thorough background check, and they offer free estimates. Reviews mention that everyone in the company is professional and courteous offering prompt, knowledgeable, fast, and honest service. Precision Plumbing has been a Mission Viejo plumbing company since 2000. The licensed and insured group has served over 8,000 happy customers and offers honest communication and licensed and trained technicians who are respectful and clean up after themselves. Services cover clogged toilets, blocked drains, running toilets, leaky showers, hydro jetting and rooter services, garbage disposal installs, gas piping and leaks, gas appliance installs, and water pressure regulators. Plumbers can also handle energy-efficient tankless water heaters and provide a free consultation to discuss the best water heater options, and customers can ask about recirculating pump systems for instant hot water as well. The owner holds a degree in water distribution, previously worked with the Santa Margarita and Capistrano Water Districts, and makes sure all techs follow local plumbing codes. Pristine Plumbing, Inc. is an Irvine plumbing company that offers quality plumbing services to homes and businesses in Irvine and Orange County, California. Their highly trained plumbers are capable of helping clients with all their plumbing needs, ranging from fixture installations and repairs to sewer line repair and hydro jetting. They are also available round the clock for plumbing emergencies while ensuring fast response times and a high degree of professionalism. 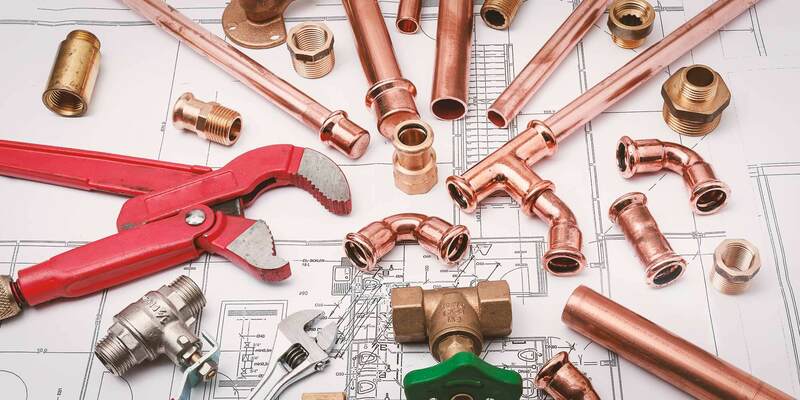 As a premier plumbing business, they strive to provide customer satisfaction by combining exceptional workmanship with the use of the latest equipment and materials as well as fantastic customer service. They prioritize their customers' best interests while providing honest assessments to achieve lasting results. Pronto Plumbing was established in 2000 and is located in San Juan Capistrano, California and serves the Orange County, California area. Their team of technicians provided specialized services that include, but are not limited to, drainage, water heaters, slab leaks, and faucet repair. Drainage services include drainage repairs, clogged drains, sinks/toilets, toilet repairs, leaking faucets, and more. Water heater services include commercial and industrial water heaters and residential water heaters. Pronto Plumbing conducts expert faucet repair and faucet installation. A few of their satisfied clients include Subway, Best Western, Sundried Tomato American Bistro and Cafes, El Cortez Mexican Restaurant and Sports Bar, and Las Golondrinas Mexican Food. The company provides quality service at affordable prices and is a proud member of BNI. Richardson Plumbing is one of the most respected building improvement and maintenance contractors in Lake Forest. The firm is a licensed business that has been around since 1982, and it is known for “refusing to compromise quality for lower-priced products.” The company draws from the founder’s wisdom and his more than four decades of professional experience, and it guarantees all jobs to prove its commitment to superior workmanship and 100 percent customer satisfaction. The team consists of competent and trustworthy professionals, and some of the tasks are main shutoff valve repair, faucet replacement, kitchen sink installation, toilet resealing and resetting, and low water pressure inspection. Richardson Plumbing provides preventative maintenance, and it accepts remodeling projects. The staff welcomes inquiries about the availability of first-timer discounts and referral rewards. Universal Plumbers is a professional plumbing service located in Laguna Niguel, California. With more than 15 years of experience, the plumbers at Universal Plumbers are committed to providing 100 percent customer satisfaction to residential and commercial property owners throughout South Orange County, California. They specialize in repiping for water, gas, and drains as well as handling garbage disposals, toilets, and faucets. They also replace plumbing fixtures, find leaks, and fix slab problems. Clients with drain issues will enjoy their rooting services, sewer inspections, and power washing. The company is licensed, bonded, and insured to provide plumbing services. Clients on Yelp rated them 4.5 stars.